Mozilla's free, open-source email program, used to communicate and manage multiple email accounts, feeds, calendars and contacts. Thank you for using our Unconfusing tutorial! 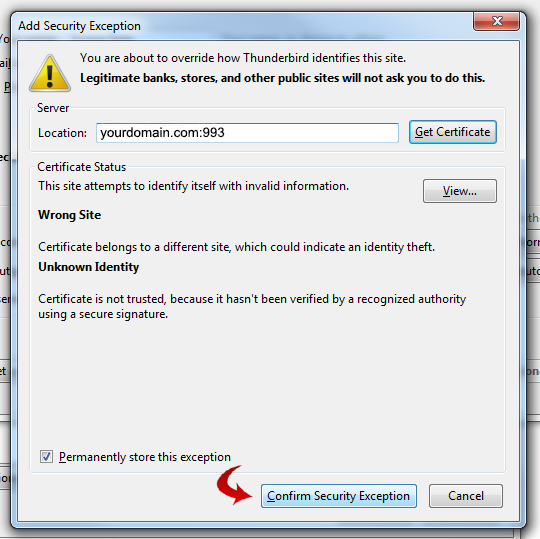 The following steps will walk you through how to setup Thunderbird to download your email. Just follow the instructions below the picture. 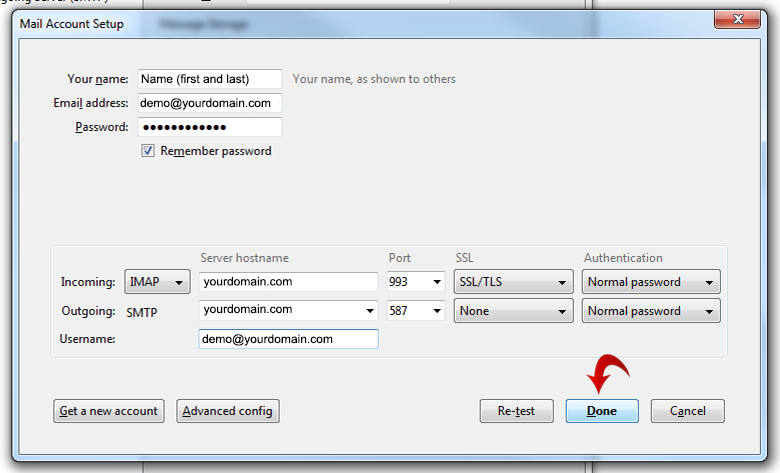 Don't forget to replace our "unconfusing.com" domain and server with your own domain when required. 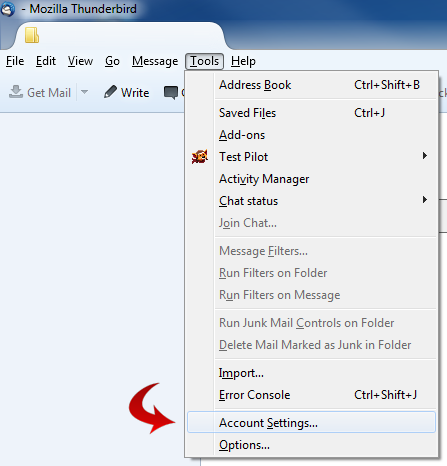 Before setting up your email in Thunderbird, there are a few steps you need to complete before it will work properly. 1. 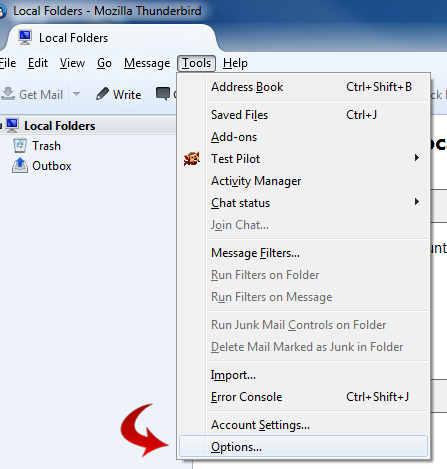 Launch Thunderbird, click Tools then Options. 2. 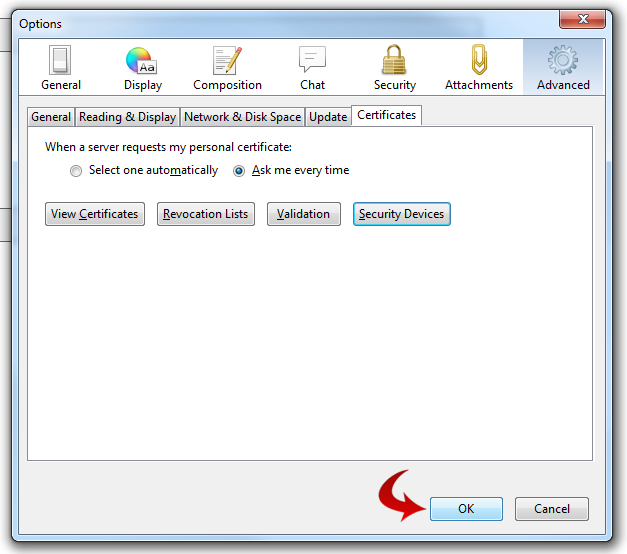 Under Advanced icon, click Certificates then View Certificates. 3. 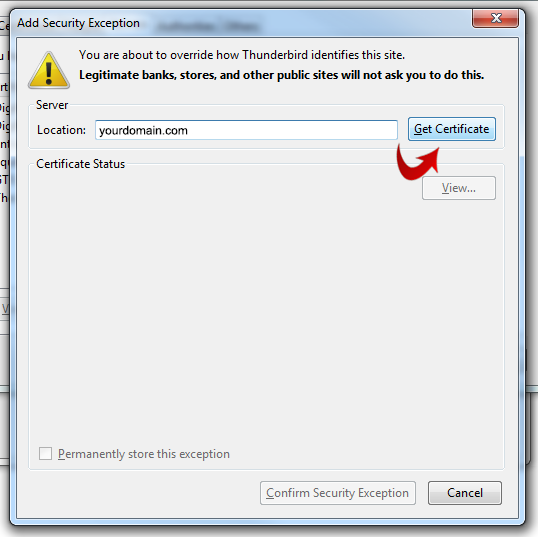 Type "yourdomain.com" in the field then click Get Certificate. 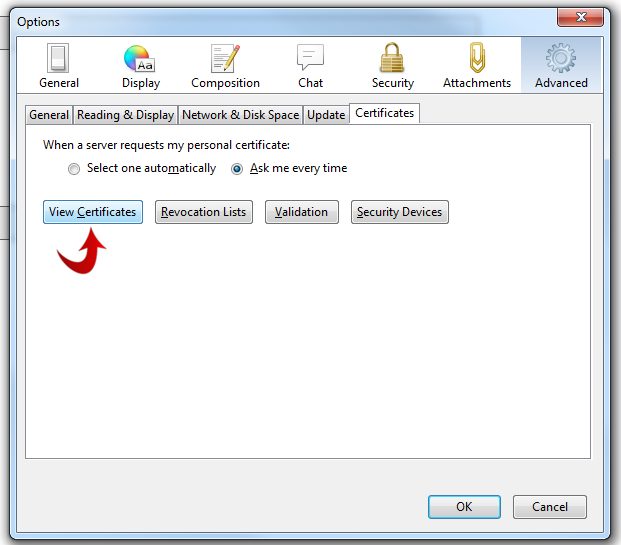 Note: You may have to click Get Certificate more than once before it will locate it. 4. Click Confirm Security Exception. 5. 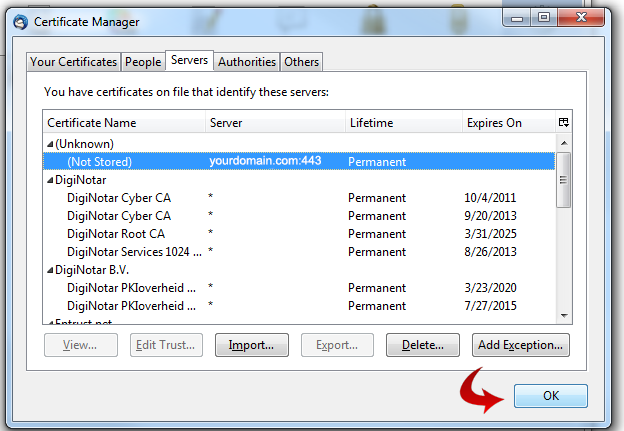 Click OK on the Certificate Manager pop-up box. 6. Click OK on the Options pop-up box. 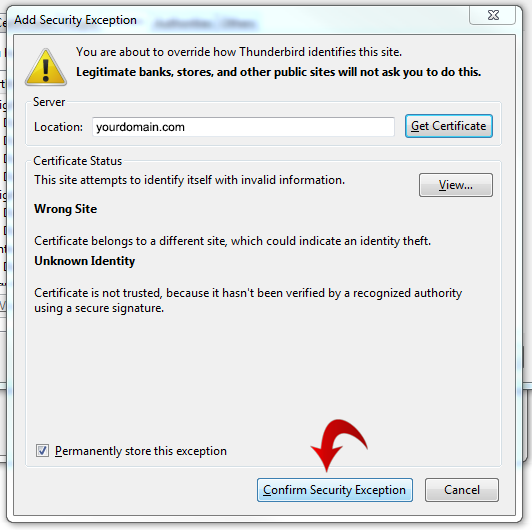 Now that is taken care of, you can begin setting up your email in Thunderbird. 1. Click Tools then Account Settings. 3. 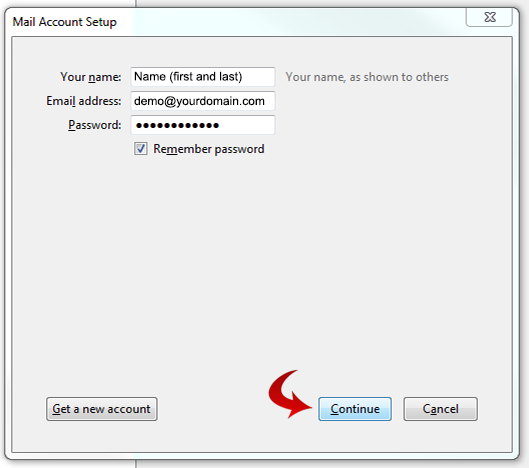 Enter your first and last name, email address (with your domain name), and password. Click Continue. 4. 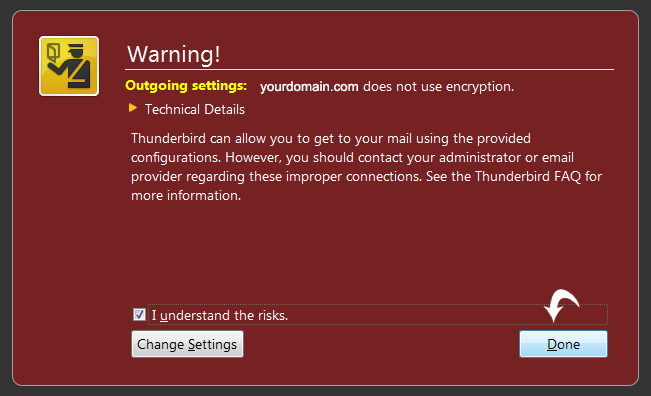 Thunderbird will try to configure your settings automatically, but these will probably need to be changed. Click Manual Config. 5. Make sure your settings are the same as the settings in the above image. Click Done. 6. When this Warning pop-up appears, check the box and click Done. 7. When the Add Security Exception pop-up appears, click Confirm Security Exception. 8. 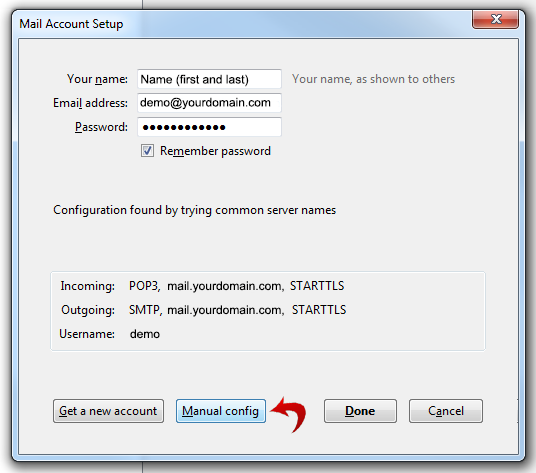 Lastly, click OK in the Account Settings screen. That's it! Your email should load into Thunderbird now. If you want extra security, don't select the remember password option. In that case, you'll have to type your password every time before accessing email.